Digital patterning software for on demand apparel manufacturing. 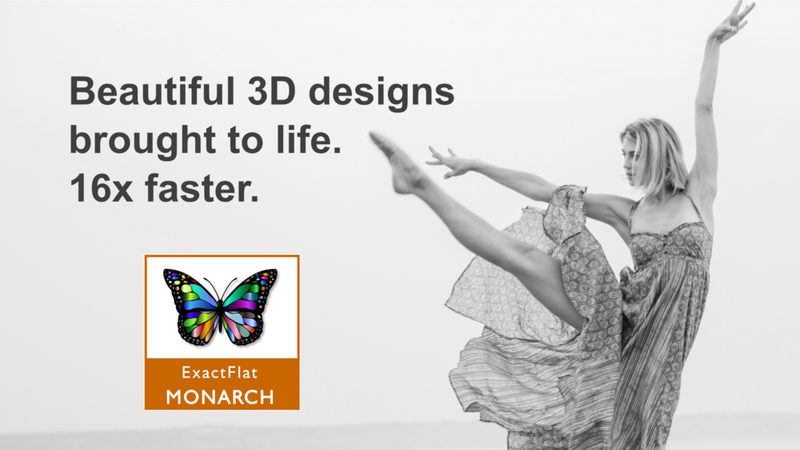 ExactFlat Monarch makes it easy for designers to add beautiful graphics, and textures to 3D designs and then to flatten the 3D designs to 2D patterns with images perfectly applied. Once the initial pattern is created it’s a simple process to edit the patterns as required (seams, notches, grain lines etc.) and then to export the combined cut line and graphic file directly to your digital textile printer and cutter. 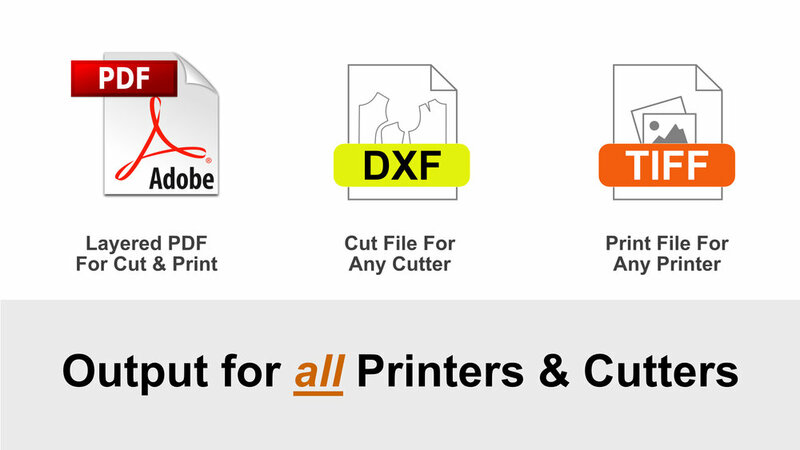 High Resolution rendering + cut line output (PDF, TIFF, and DXF). The All New ExactFlat Monarch. 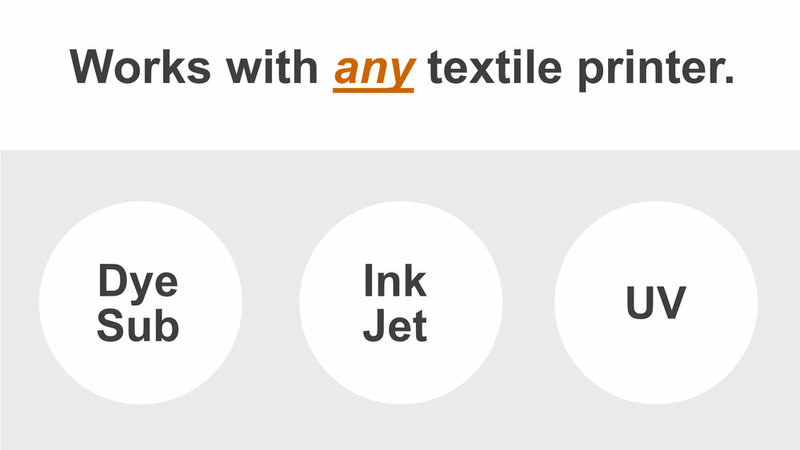 Software for on-demand apparel manufacturing. It is powerful, easy to use, and works with any digital. textile printer. Finally a full and. complete solutions for on-demand apparel manufacturing.